There is no greater compliment we can have as a company than the referral from a satisfied client. We will continue to strive to earn your business. I would like to bring to your attention our recent experience with your staff, especially the personal care and attention that your staff gave us during the process of evaluating and replacing the elevator motor / gear box assembly in the elevator in our home in the Keys. It is rare to find someone who takes ownership of their company and goes that extra mile with customer service. This includes communicating with your customers on the weekend in order to resolve scheduling issues and keep your customers informed.  We purchased your elevator based on the recommendation of another person in our community that installed your elevator during the construction of their home in 2009. We did our research, asked questions, and found other satisfied customers. It is interesting that you appear to not spend a lot of money on advertising your products and I understand why. Your customers become a big part of your sales force due to the quality and longevity of your products and the customer service provided by your staff. I recommend your elevator to people planning to build multi-level homes and will continue to do so. The men were kind, thoughtful, conscientious, fun, funny - all perfect workers and gentlemen. I would recommend them and their elevator product absolutely!!! Just wanted to let you know how great of an experience we have had with Residential Elevators and particularly your service tech. Arriving to our home annually for 3 years running, arriving on time, and courteous. Your service tech provided professional service, spoke extremely high of the company and treated my home like his own. I would recommend residential elevators service department to all of my customers. As a manufacturing professional for nearly 44 years, I’ve been exposed to a vast array of corporate cultures. 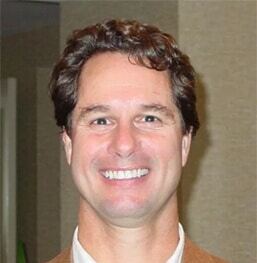 Residential Elevators modern day Founder, Bobby Boeneke, laid the strong framework and led the Company to great success by treating everyone as “family”, including suppliers. The climate of professionalism, fairness, and cooperation is systemic throughout this top tier corporation. Very clearly, Residential Elevators is a model of "How to do it right.” I'm honored and privileged to be an Residential Elevator supplier. Your mechanic came to my home yesterday to repair the elevator as I was in desperate need given my recent hip surgery and inability to climb stairs. Also, yesterday evening I was hosting one of my most important clients and his two sons and had to have this done. Your mechanic really went the extra mile in a tireless effort to solve the problem. Your customer service agent arranged a last minute schedule change that allowed your mechanic to come. It meant so much to me and especially my ailing hip! Since we have worked with Residential Elevators, you have always gone the extra mile to provide outstanding service. This note is to let you know that we LOVE our Elevator. Residential Elevator Company installed our elevator in our brand new home in December. We use the elevator numerous times a day going up and down between 3 floors of our home. It is a wonderful convenience for retirement age people. Since December, I was diagnosed with heart problems. Having planned for future needs when building our home, the elevator was a wise investment. Thank you so much for this beautiful elevator, quality plus product. We are so happy to have selected your company to purchase and install our elevator. Thank you for responding to my service call. Your service tech was very capable, knowledgeable, personable yet professional. I have been consulted about info on elevators and will gladly recommend Residential Elevators. I just want to thank you and your great team of employees for two jobs well done! I will always highly recommend Residential Elevators. I wish I could take more time like this to send more emails to other companies to express my appreciation with any/all subcontractors, unfortunately that does happen very often if at all. I'm typically not the kind of person to do this however your men made it impossible not to, that said I just wanted to take a minute to let you know that my experience starting with your Sales Rep, and to your two Installers that have been out here for the last three days are the kind of men "any" company would be proud to have. They did outstanding work with an outstanding attitude. Thank you for making life easier on this project. At the beginning we reached out to your Sales Rep after being extremely frustrated with other elevator manufacturers. Our interactions with RE have developed into a real relationship that we appreciate. We recently shared our very positive experience with other home builders who are exploring using RE elevators and we told them of our unqualified recommendation of RE. Good morning my friend, what an absolute pleasure to work with your guys, elevator looks awesome. Your elevator is one of the first things the Glass's show to everyone that comes to see their new home. I know we will be doing more work in the future, because companies like yours make us all shine. After 7.5 years of owning our Apollo Beach, FL home we finally had the elevator serviced. Your Service Technician arrived on time and was quick, thorough, and very knowledgeable of his trade. He patiently answered my many questions and allowed me to look over his shoulder to satisfy my curiosity. He is the type of technician that I wish all companies from different trade sectors will send to my home for service calls. Thank you Residential Elevators and especially your Service Technician for getting our elevator working smoothly again. After 32.5 hard years of military service, having an elevator makes it a lot easier for me to carry loads between floors. Your Serviceman was here today to service my elevator and I just had to write to let you know that he was such a gentleman and so professional. You do not run across servicemen or people for that matter that really care about what they are doing. He is a gem. I was beginning to believe that customer service was something from a by gone era and I was pleasantly surprised. He serves your company well. I will recommend your company to all my friends and I want him for all of my service appointments. plan. I rolled the motor and transmission on carts onto the elevator and secured them safely on the second floor. Never underestimate the utility of a Residential Elevator!